Learning how to make a duck call is something that is constantly gaining the interest of many wood turners, duck hunters and outdoor sportsmen. This art has been around for many years and while a lot of the techniques still remain the same or similar, there are also a lot of options available when selecting the material or the tools that are used. I have listed a lot of sources in our Suppliers Directory. The most widely used material in the beginning was what I refer to as “common wood”. This was wood that was readily available from the natural surroundings of the call makers such as Oak, Cherry, Cedar and Persimmon just to name a few. 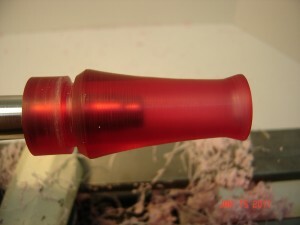 Today there are a lot of exotic woods that are being used frequently for turning calls. African Blackwood, Bocote, Cocobolo and Purple Heart are just a few of the many that are readily available. 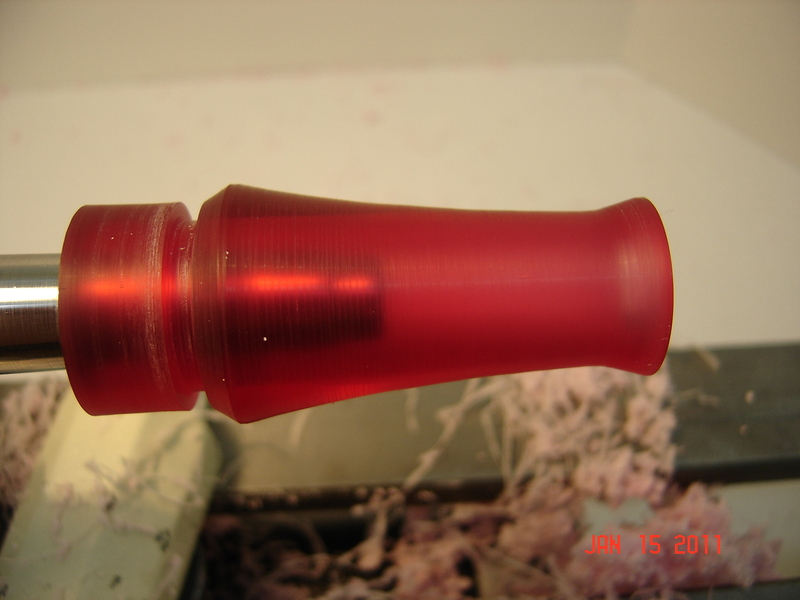 Acrylic is being widely used today for a lot of the duck calls whether they are handmade by a callmaker or manufactured by a major call company. They great thing about both acrylic and wood is that you are able to use the same tools for turning both of them. In this video tutorial, I use acrylic along with a Sorby round nose scraper, skew chisel and parting tool. While learning how to make a duck call does require practice, this video tutorial will give you a great start!